Police are appealing for information after a man was assaulted in Morecambe. A man had his arm broken after being hit with a metal pole in Morecambe’s West End. 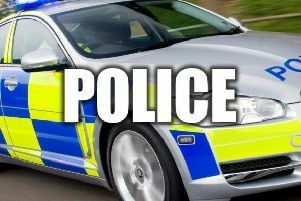 Police said that between noon and 1pm on October 20, the man was badly assaulted in the alleyway near to Grafton Road and Westminster Road, Morecambe, by another man who hit him with a metal pole. The victim suffered a broken arm as result of this assault. If anyone has any information or witnessed this incident call police on 01524 596986, Crimestoppers on 0800 555 111, or email Morecambe.npt@lancashire.pnn.police.uk.